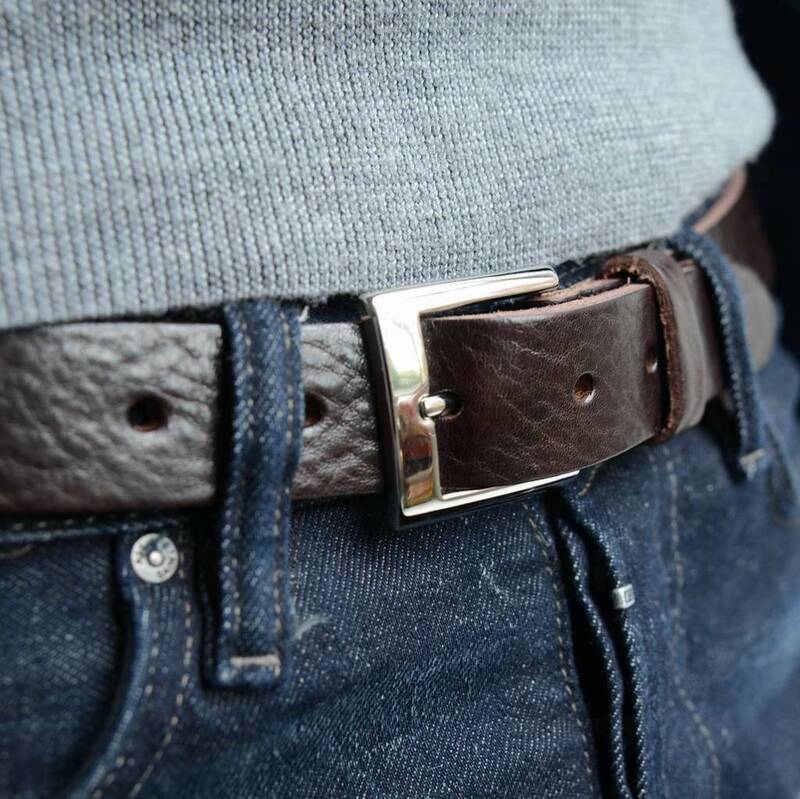 size size (required)black small waist size 30"-34"black medium waist 32"-36"black large waist 34"-38" brown small waist 30"-34"brown medium waist 32"-36"brown large waist 34"-38" size (required)black small waist size 30"-34"black medium waist 32"-36"black large waist 34"-38" brown small waist 30"-34"brown medium waist 32"-36"brown large waist 34"-38" size (required)black small waist size 30"-34"black medium waist 32"-36"black large waist 34"-38" brown small waist 30"-34"brown medium waist 32"-36"brown large waist 34"-38" size (required)black small waist size 30"-34"black medium waist 32"-36"black large waist 34"-38" brown small waist 30"-34"brown medium waist 32"-36"brown large waist 34"-38"
A unique and unusal Personalised gift for any special Man in your life ..maybe the way to ask an important question ! 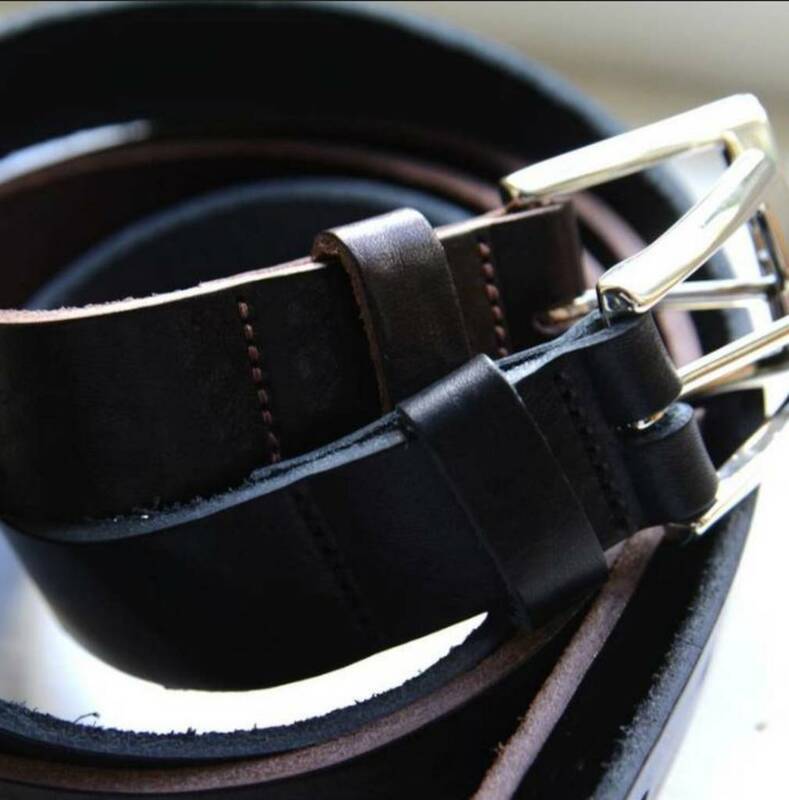 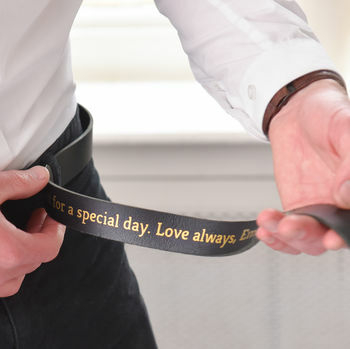 This is a very soft leather belt which you can personalise with your very own secret message. 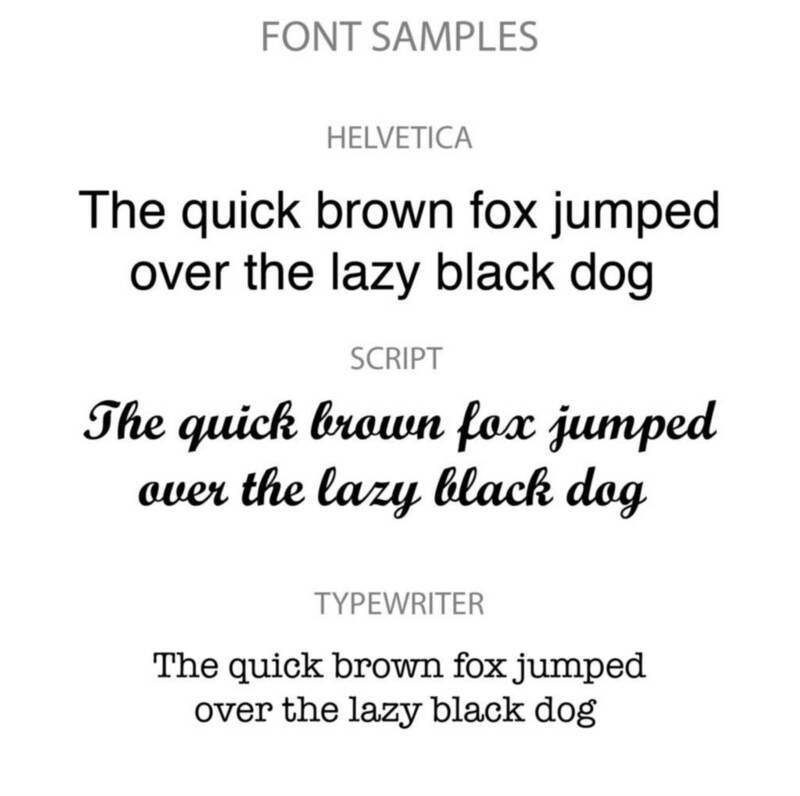 The message is printed in silver or gold in your choice of fonts on the inside of the belt, so for your eyes only..
A great gift for any Dad, Boyfriend or Husband to be! 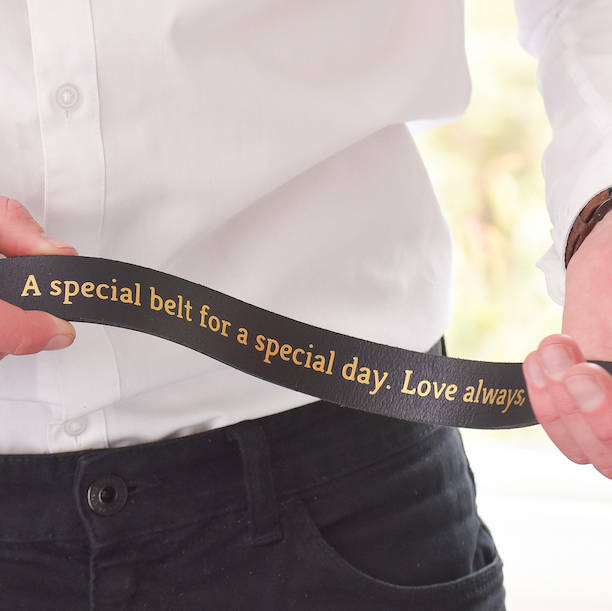 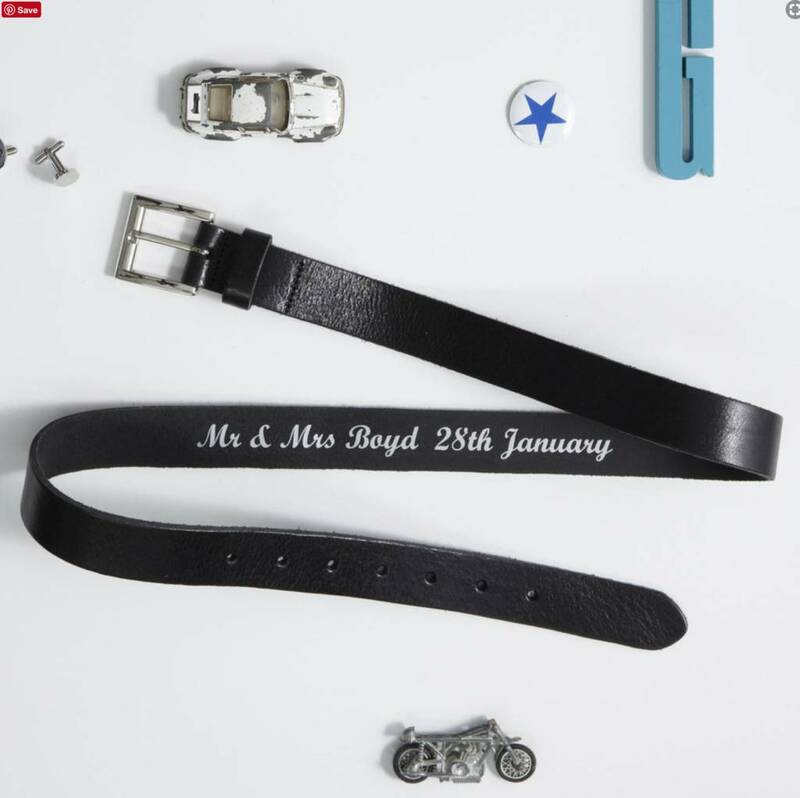 We wanted to write something clever about tightening your belt , maybe for someone about to pay for a wedding .. but we thought we would leave the creativity up to you!